The smallest element in bibliographical descriptions of books: the piece of paper comprising two pages. The front side is called the recto and the back is the verso. A leaf numbered on the recto may be referred to as a folio – foliation (numbering each leaf) is often seen on manuscript texts and became a common printing practice in the late 15th and 16th centuries. 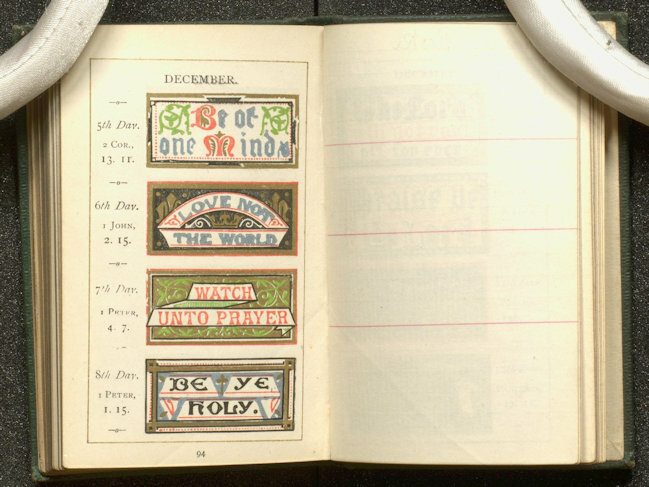 Books from 1600 onwards have more usually been printed with pagination (a separate number for each page, or side of the leaf). The physical description statement in catalogues gives the make-up of the book in sequences of leaves (if the printed text is foliated) or pages (if the text is paginated). Descriptions by number of pages always give an even total to account for both the recto and verso of the leaf, even if the verso if the final leaf is blank. 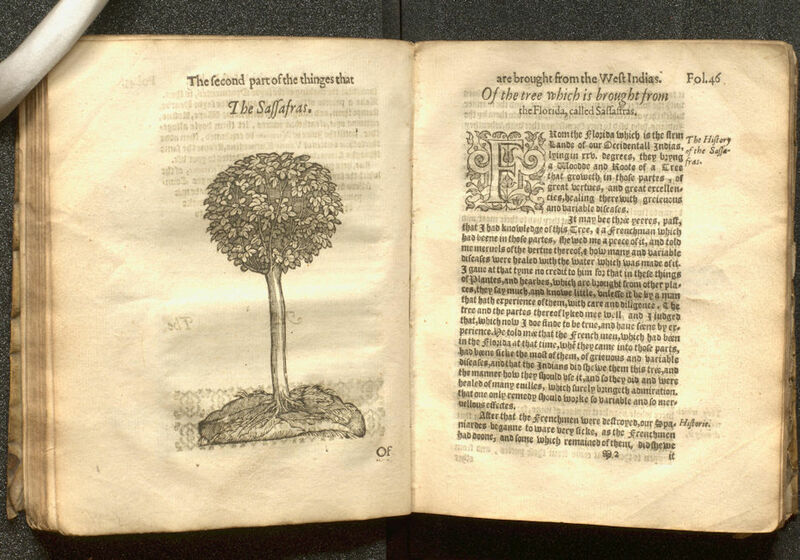 Illustrations such as woodcuts may be included as part of printing the text, and not separately numbered, but illustrations such as engraved plates printed by a separate process are numbered as leaves, since the illustration is on one side of the leaf only. Leaf may also be used in terms describing parts of a book: endleaves (or endpapers) are the additional leaves before and after the printed text; flyleaf is sometimes used to refer to a leaf at the beginning of a volume. They are normally mentioned in catalogue descriptions as the location of bookplates, owner’s inscriptions, etc., or for their decorative qualities. 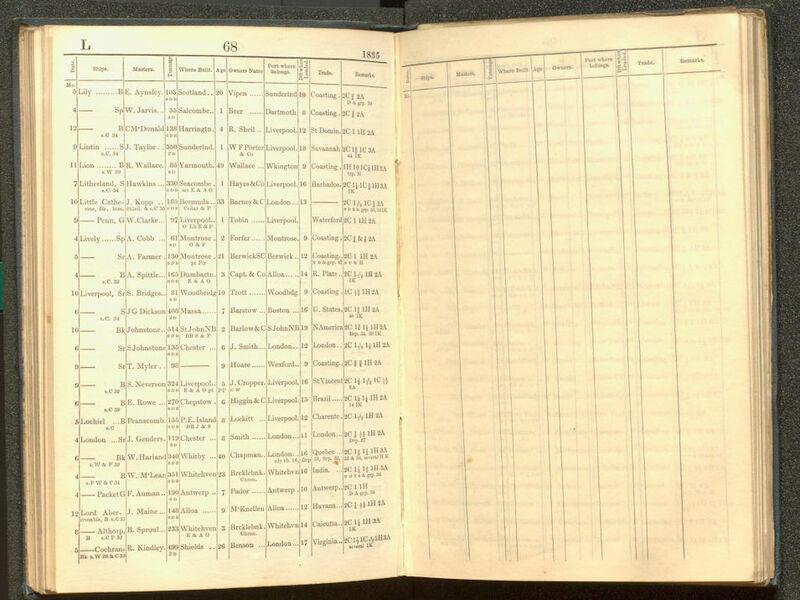 2017.b.008 – Liverpool shipping register for 1835 interleaved for corrections and additions. 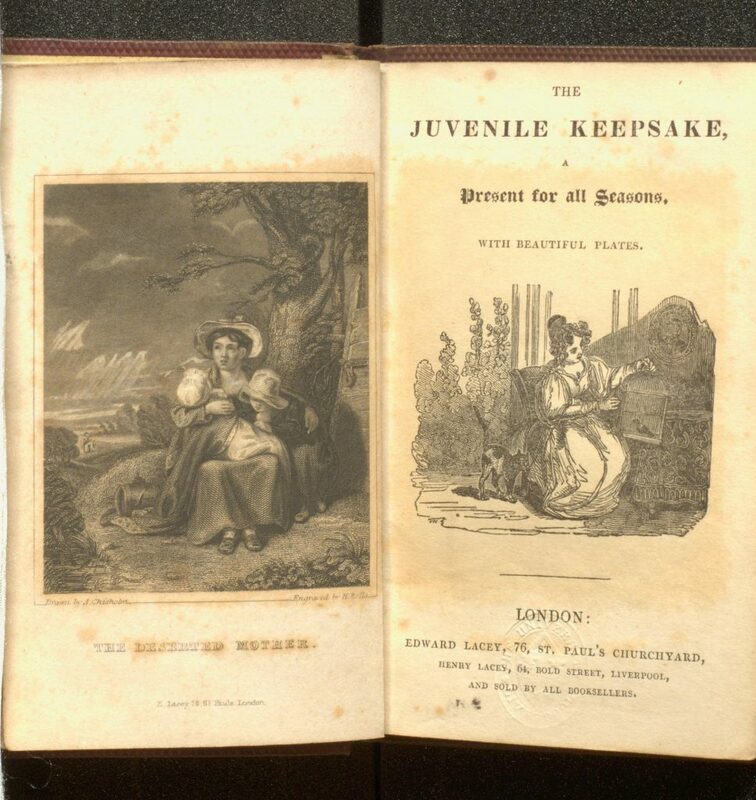 Juvenile was a term used by publishers to distinguish books and magazines produced for children – now more usually called children’s books – from those marketed to adults. 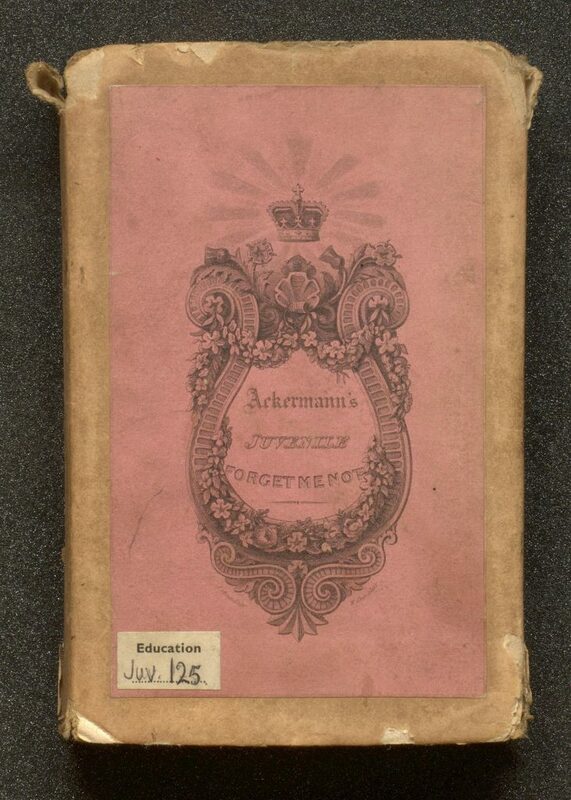 The extensive Children’s Books collection in Special Collections at Liverpool includes several titles which make their target market clear, for example: The Juvenile: a magazine for the young and Juvenile anecdotes, founded on fact: collected for the amusement of the young. Many such titles provided more instruction than amusement and look very little like contemporary books for infants, children or the more recent publisher’s categories of teen and young adult. The distinction between adult and juvenile markets was also made clear in the best-selling literary annuals of the 19th century. 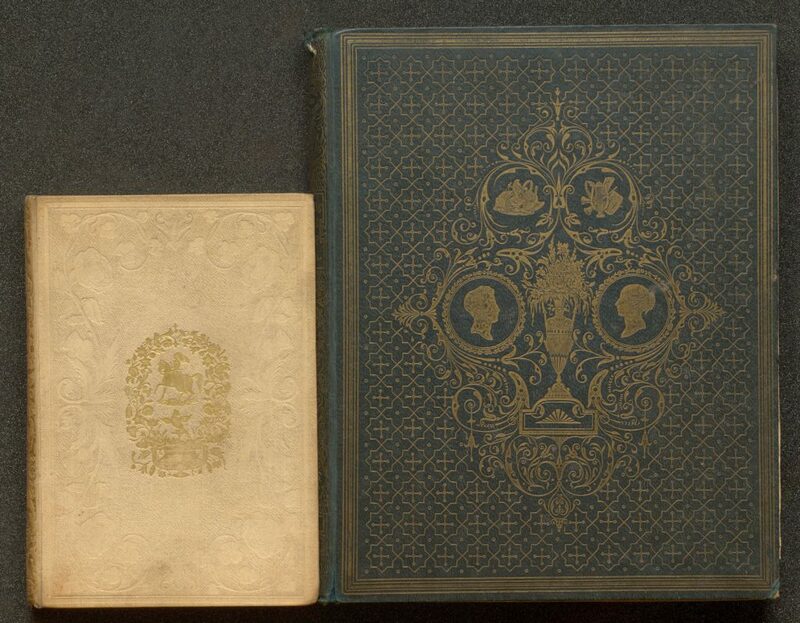 Fisher’s drawing-room scrapbook (1832-1852) sits next to the slightly smaller Fisher’s juvenile scrapbook (1836-1850), and the earliest and most enduring titles: Forget-me-not (1823-1847) and the Keepsake (1828-1857) are echoed in The juvenile forget-me-not (1828-1862) and The juvenile keepsake (1829-1850). Juvenile literature was a well-established category by 1888, when Edward Salmon published Juvenile Literature As It Is based on a survey of the reading habits of two thousand 11-19 year-olds. Juvenilia is used specifically for ‘juvenile’ writings, as in the poet Leigh Hunt’s 1802 Juvenilia: or. a collection of poems. Written between the ages of twelve and sixteen (SPEC Fraser 293). Cope's Arctic card. February 1877. Now that we have reached the last day of term, students are heading home for the holidays, although most will not be travelling as far as the North Pole, vividly depicted in the ‘Christmas cards’ published by the Liverpool tobacco firm of Cope’s. From 1874 Cope’s published a card issued free to subscribers to the Tobacco Plant, and usually published in February. Designed by John Wallace the cards were large, full colour lithographs depicting a topical or fanciful scene peopled with caricatures of politicians and celebrities. A key to the figures, including an explanation in prose or poetry, was also issued for those wishing to derive full enjoyment from a card. 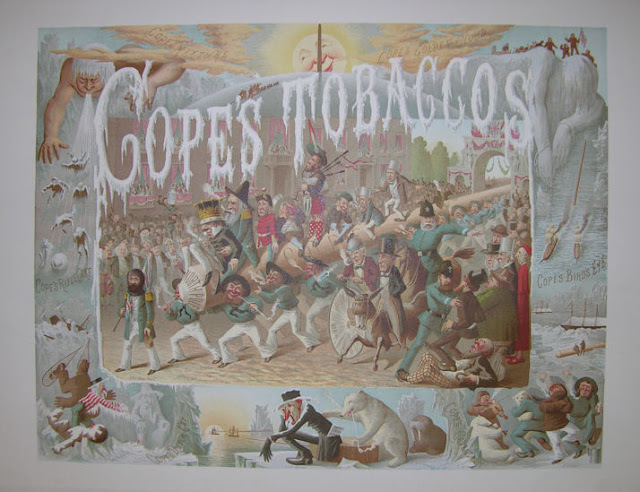 Cope’s Arctic Card issued in February 1877 shows in its border ‘in vivid allegory, the history of the many expeditions that in former days have striven for the Arctic Prize’. The main scene depicts the celebration as the artist imagined it would have been if Sir George Nares had enjoyed a successful expedition and ‘brought the pole home’. The commentary on this card in the Tobacco Plant concluded by stating that: ‘for ourselves, we could be content if the expedition, failing in all else, had but realised the little picture that “Pipeshank” has drawn at the foot of his cartoon. It were pleasant to think of our old Friend the Anti-Tobaccoite left behind in the Silent North, in the congenial company of the Walrus and the Polar Bear. The artist is right – the Bear would be by far the jollier member of the select society. He might “pipe” but our Anti would never dance’.